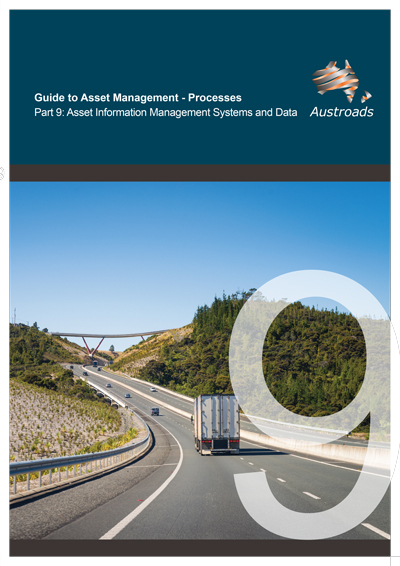 Part 9 of the Guide to Asset Management aims to guide asset managers into an informed selection and implementation of an appropriate asset management information system (AMIS) for their organisation. This guidance includes clearly defining all dimensions of what is required from an AMIS, the evaluation of AMIS options and its successful implementation within the organisation. Asset Management Processes addresses business processes and enablers associated with the asset management business cycle. It also provides guidance on how to determine and plan to address stakeholder/community expectations. formulate and review asset strategies, develop works and investment programs, assess asset performance, undertake audits and asset valuations, and develop asset management improvement plans.